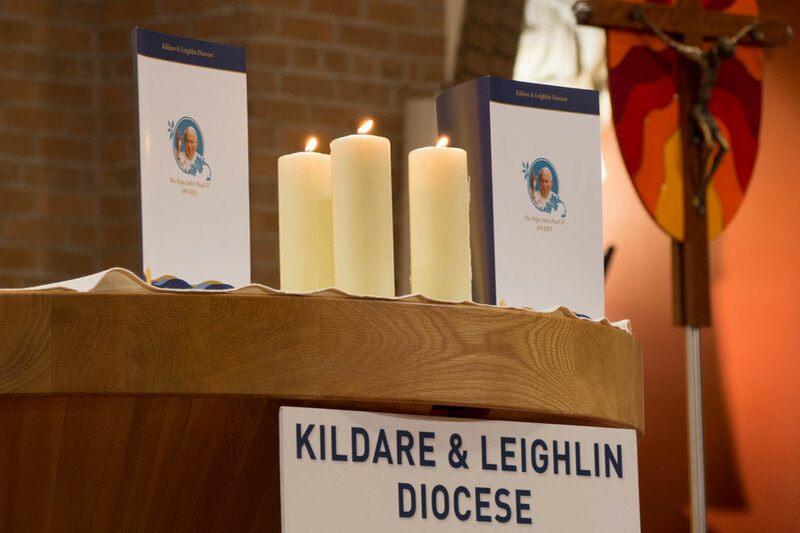 The Pope John Paul II Award has been part of the story of Kildare & Leighlin Diocese for the past five years. In that time, close to one and half thousand young people from the diocese have participated in this award programme. A programme that has brought a huge blessing on parish and school life around our diocese. 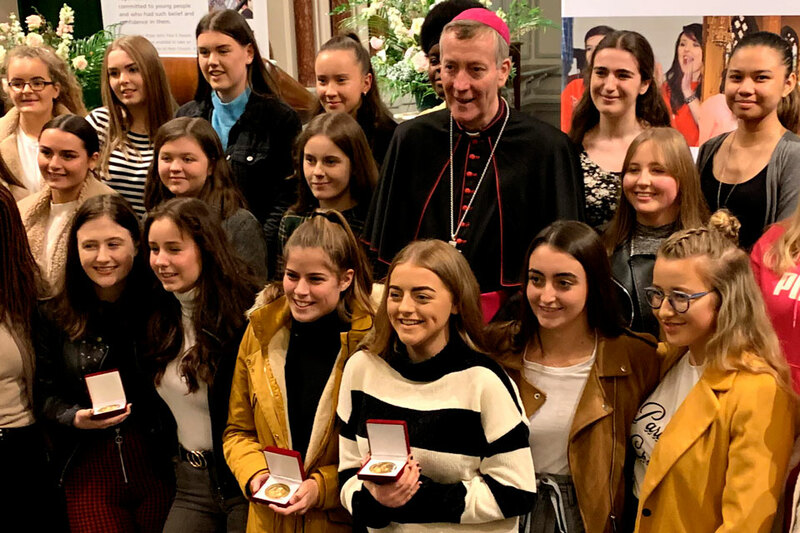 In the most recent awards, presented over two nights last February, it was remarked that the awardees represented 38 out of our 56 parishes, coming from 27 schools. The energy, the enthusiasm, the exuberance of these young people on award nights is infectious. I firmly believe the contribution of the awardees to the church will be huge into the future. These young people are the church of today and tomorrow and the day after. My prayer is that by participating in such an award programme at Bronze level, at Silver level, at Gold level or at Papal Cross level will help them develop a lifelong habit of service to their local parish, their local community. The Award was launched in Derry Diocese in 2006; Kildare & Leighlin was one of the early dioceses to take up the initiative. And why wouldn't our diocese get involved, having already a rich and proud tradition of work with our young people through Teach Bhríde in Tullow, Faith Friends, Meitheal and Parish Youth groups. I commend and thank Cathriona from the FDS Team in Carlow who coordinates the Pope John Paul II Award programme in the diocese, now in its sixth year, and I equally thank the Award Leaders in all our participating parishes. I have no doubt your work will sow the seeds of vibrant and active parish communities. I believe that the introduction of the Pope John Paul II Award is timely. This new initiative is designed to foster and encourage the participation of young people in the life of our parishes, allowing them to express their faith and to build up the life of the Church. I pray that the Pope John Paul II Award will help us to grow in our awareness of the faith needs of young people and of the spiritual gifts and energy that they bring. Many parishes organise pilgrimages, either specifically for young people, or for the wider parish community, but open to young people. Participation in this type of activity can be part of the Pope John Paul II Award. On a number of occasions during the year, the Diocesan Youth Ministry Team will organise youth activities such as participation in the diocesan pilgrimage to Knock, climbing Croagh Patrick, Youth Retreat Days or other pilgrimage activities. Participation in these activities can be part of the Pope John Paul II Award. During the year, the Diocesan Youth Ministry Team will extend an invitation for young people to participate in training programmes. These training events can also be part of the Pope John Paul II Award. Trips lasting four days or more to work on specific projects, such as orphanages in Romania or home building in Africa. The Presentation Schools’ projects which bring young people to Zambia or other areas to work in a voluntary capacity in schools and communities can also be part of the Pope John Paul II Award. Participation in a Discovery Programme at parish level can also be part of the Pope John Paul II Award.